I thought it would be helpful to put a page together that lists all the resources I use for my blog and travels. I often get emails asking which tools I use, so I will reference this page quite a lot. Disclaimer: Some of these links are affiliate links. If you make a purchase through one of my links (at not additional cost to you), I will receive a commission, which helps keep this website up and running. I would never advocate for buying something that you can’t afford or that you’re not yet ready to implement. Bluehost: There are many web hosting companies to choose from, but Bluehost is one of the best. It’s one of the top web hosting companies of 2018. It’s also super easy and affordable to start your own blog with them. Most professional bloggers recommend and use Bluehost for their website as this creates the right technical foundation for a successful blog. 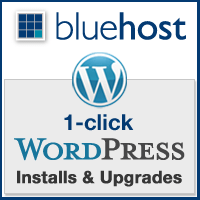 You can start your own money-making blog for as little as $2.95/ month with Bluehost. Plus, you’ll get a free domain name when you sign up through this link. 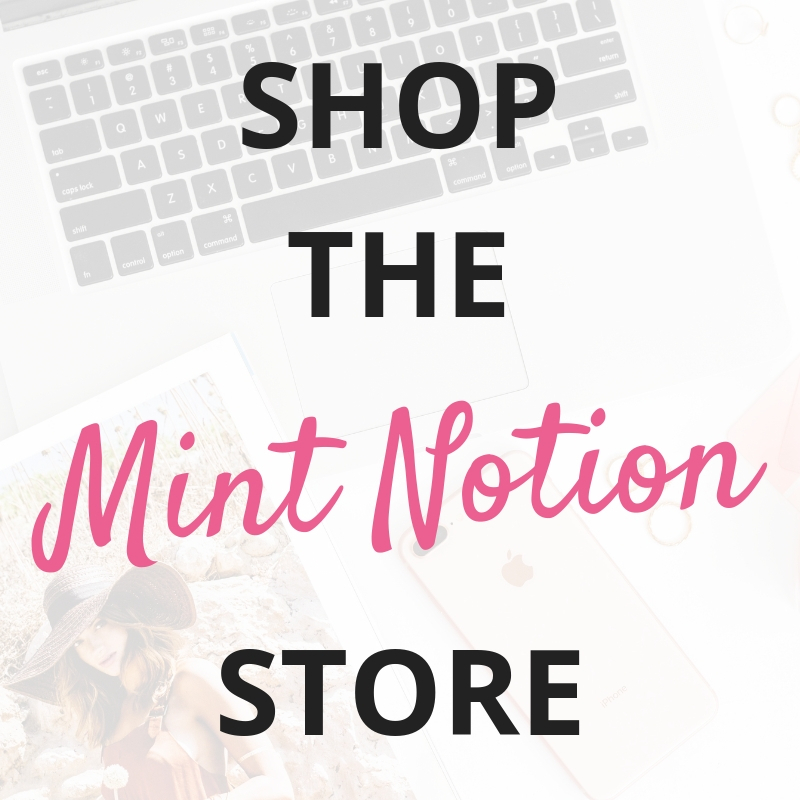 Disclaimer: I partnered with Bluehost to get this special price for Mint Notion readers. This is the web hosting company I used to start my blog and I recommend them. If you purchase a web hosting package through my referral link, I will earn a commission (at no extra cost to you). This helps keep my website up and running. If you’re interested in learning more about starting your own blog, I recommend signing up for my free 7-day blogging course. In this course, you’ll learn everything you need to know about launching your own blog, growing your audience, and even earning your first dollar. Genesis Framework: Mint Notion runs on Genesis Framework. Genesis has built-in SEO and a ton of other great plugins that make it easy to change the look and feel of your blog. 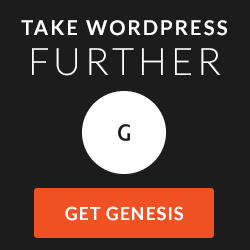 I once read that if you’re building a house, WordPress would be the foundation and Genesis is the steel frame. Then your house is finished with a roof, drywall, paint and decor — which is your design. Convertkit: I recently switched from Mailchimp to Convertkit and I couldn’t be happier! I love the simplicity of Convertkit emails and being able to create landing pages, email courses and free downloads for my subscribers. It’s helped me to grow my email a lot faster than when I was using Mailchimp. Leadpages: This is a landing page builder and lead generation software. Many professional bloggers use and recommend Leadpages to grow their blog and online business. I love how simple and easy it is to create professional looking landing pages and opt-in boxes to grow my email list and showcase my freebies. Click here to see a landing page I created using Leadpages for my free blogging course. Canva: This is an awesome and simple to use graphic design software. I use Canva to create pins for my Pinterest page. They offer a variety of different templates for web or print, such as Facebook covers or posters. The great thing about Canva is that it’s completely free! It only costs money if you use their premium stock images (~$1 USD). Social Warfare: I recently decided to switch social sharing buttons for this site, and discovered Social Warfare. It’s a paid plugin and my frugal-self was a little hesitant to make the purchase, especially since there are plenty of free social sharing plugins available. However, I am SO happy I made the switch to using Social Warfare! The share buttons load lightning-fast and it’s packed with a bunch of amazing features that I couldn’t find in the free plugins. ShareASale: Affiliates use ShareASale to promote products and earn a commission for referrals on those products. There are thousands of companies on ShareASale you can promote on your blog and earn a commission if your reader takes an action. Making Sense of Affiliate Marketing: If you’re looking to make money from your blog, I highly recommend taking Michelle’s course. 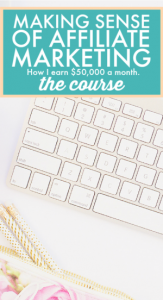 She teaches you the exact strategies she used to go from making $0 in affiliate income to over $50,000 per month (yes, you read that right — $50K per month). Michelle’s course has been a total game changer for me. After taking her course, I’ve been able to earn a full-time income from affiliate marketing. You can find out more about Making Sense of Affiliate Marketing here. 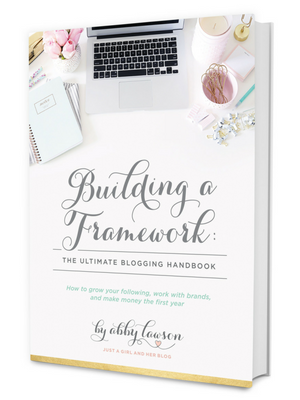 Building a Framework: Abby shares the strategies she used to turn her hobby blog into a six-figure income in just two years. I recently went through her e-course and learned A TON of actionable tips to help grow my blog and work towards building an online business. 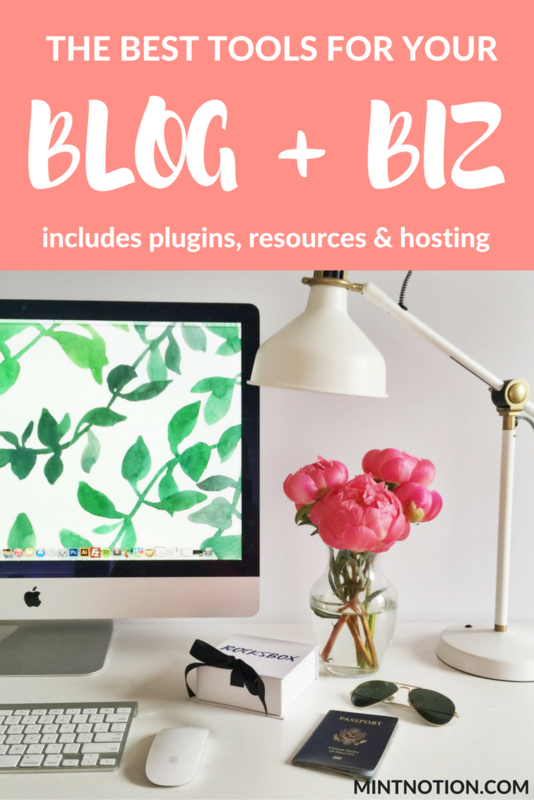 This e-course is a must for any new or aspiring blogger. You can find out more about Building A Framework here. 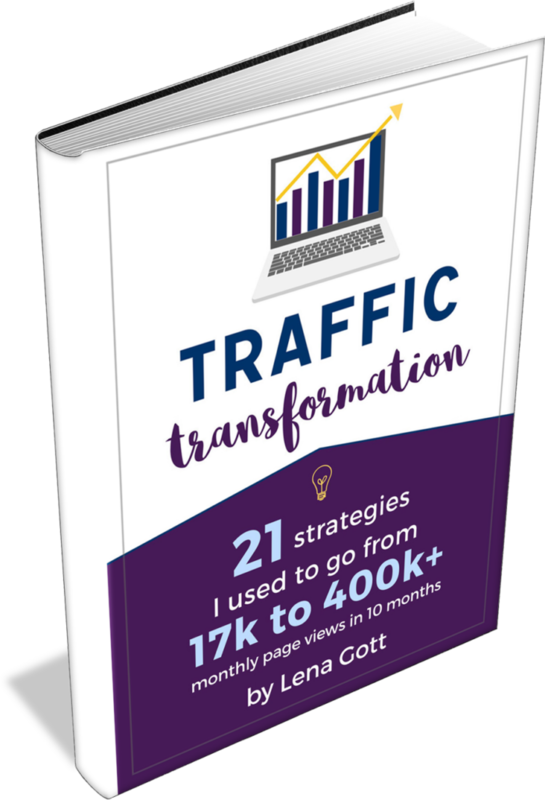 Traffic Transformation Guide: Lena’s eBook is packed with TONS of invaluable tips for growing your blog readership and income. I’ll admit that I already knew some of the information in this eBook since I have been blogging for a couple of years now, but it still offered a lot of new and relevant tips that I hadn’t thought of trying before. Her tips have helped me grow my blog to over 200,000 monthly page views. Click here to learn more! Hotwire: This is a great way to book a luxury hotel at a budget price. This is the hotel booking website I use the most when booking hotels in the USA and Canada. Use this post to find out how to know your Hotwire hotel before booking. 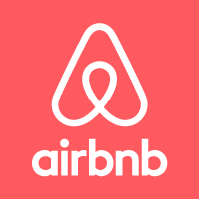 Airbnb: If I’m not booking a hotel, my preferred way to travel is to stay in a short-term vacation rental through Airbnb (use the Airbnb link to receive a FREE coupon code). Airbnb vacation rates are comparable and often cheaper than a hotel. Skyscanner: This is the first website I check before booking a flight. It includes a lot of airlines, including many budget carriers that other airfare booking websites miss. Expedia: Expedia can be a hit or miss, but I always like to use it to compare prices before booking a trip. When you bundle your flights + hotel together, sometimes Expedia can offer the best deal. I saved $300 when I bundled my flights + hotel for my trip to Paris. 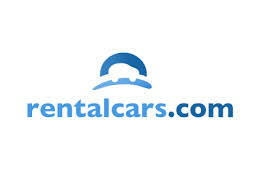 Rentalcars.com: I always check car rental prices on this website first. It includes all the major car rental companies, including Avis, Enterprise and Alamo. You can book without entering any payment information and cancel if you find a better price. 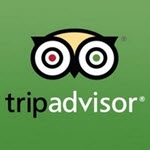 TripAdvisor: Before booking any travel accommodations, I always check reviews on TripAdvisor first. For the most part, their user reviews are pretty accurate. To get a better idea of your potential accommodation choice, I also recommend looking at photos submitted by users. If the price is right, I even book accommodations directly through TripAdvisor. Online surveys are one of the easiest ways to earn an extra $100 each month. You can fill out the online surveys while eating breakfast, watching TV or on your lunch break – it’s that simple. They are free to sign up for and free to use. Survey websites I recommend include American Consumer Opinion, Swagbucks, QuickRewards, and Panel Place. Ebates: With over 2,000 stores available, shoping on Ebates is super easy. When you make a purchase, Ebates will track your purchase and deposit that cash back you’ve earned into your Ebates account within a few days. I don’t do a lot of shopping myself, but I always like to use Ebates whenever I make an online purchase. 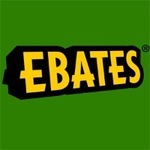 You can join Ebates for free and get a $10 welcome bonus when you sign up through this link. Checkout 51: Checkout 51 helps you get cashback on your purchases. You can download the app or browse the available offers online. Then buy these offers at any store and upload your receipt using Checkout 51. Once your purchases have been confirmed, you will receive a credit to your account. When your account reaches $20, you can cash out and Checkout 51 will mail you a check! Entertainment Book: I have been using the Entertainment Book for years now and it’s one of my favourite ways to save money. Every year, the book pays for itself with all the great coupons and discounts available inside. I use the coupons and discounts to save money when shopping, traveling, dining at restaurants and for other entertainment fun. You can purchase the book or download a digital copy, which is super convenient. Groupon: Groupon is a great resource to find deals from 50-90% off restaurants, travel, fitness, shopping, beauty, etc. I have used Groupon to save money on a sunset cruise in my city and even get Invisalign braces. $5 Meal Plan: Cooking homemade meals is a great way to save money and it’s a much healthier choice than eating out. If meal planning is not your thing though, I highly recommend trying the $5 Meal Plan. This is a weekly meal plan service that can make your meal planning super simple. For just $5 per month, you will receive a delicious meal plan, where every meal will cost about $2 per person (or less). It’s a great way to save time and money, plus they offer specialty plans, including gluten-free and vegetarian meals. Click here to try it free for 14 days. Lending Club: If you’re interested in learning more about investing, I recommend starting with Lending Club. The investing platform is straightforward and easy to use. Lending Club is the largest online lender of personal loans in the United States. This means investors, such as yourself, provide loans to borrowers. You can choose which loans you wish to invest in and earn monthly returns from the payments that borrowers pay. This is a great platform to start investing and has the potential for you, as an investor, to earn a steady cashflow. You can learn more about Lending Club here. My main camera that I use for taking photos is the Sony Alpha a6000. It’s a Mirrorless digital camera and I find it perfect for traveling since it’s lightweight and smaller than a DSLR. If you’re looking to upgrade your camera, but are unsure about getting a DSLR, I highly recommend the Sony Alpha a6000. It has improved both the quality of my photos and increased my desire to learn new photography skills. Since graduating from University, books have played an even larger role in my life. I truly believe that reading more books has helped me become a better writer too. While I enjoy reading books from a variety of genres, my favorites are finance and self-development books. Here is a list of my favorite books and ones that I believe you will love too! The 4-Hour Workweek by Timothy Ferriss: This book has pretty much changed my life since I first read it in 2015. Many of my posts have been inspired by this book. Start With Why by Simon Sinek: I read this book after watching his popular talk on Ted.com. This is one of the most useful and powerful books I’ve ever read. I recommend it to anyone who wants to inspire others or find someone to inspire them. Rework by Jason Fried & David Heinemeier Hansson: This is one of the few business books that stuck with me because it’s not like your average business book. Instead of giving the same old advice, Rework shows you a better, faster and easier way to succeed in business. How to Win Friends & Influence People by Dale Carnegie: A classic book packed with simple by effective advice to help you be successful in business and your personal life. Tribes by Seth Godin: Tribes will make you think about the opportunities in leading employees, investors, customers, readers, etc. A great read for anyone looking to express their voice or pursue a leadership role, especially bloggers. A Random Walk Down Wall Street by Burton G. Malkiel: One of the best books to read when starting a portfolio. I Will Teach You To Be Rich by Ramit Sethi: Simple to read and easy to understand, Ramit Sethi outlines practical advice for 20-35 year olds in a nonjudgmental style that will make you want to do what he says. Rich Dad Poor Dad by Robert T. Kiyosaki: While this book doesn’t really provide its readers with concrete advice, it’s definitely worth a read to get inspired. It teaches you the key difference between working for money and having your money work for you. The Richest Man In Babylon by George S. Clason: A timeless classic which I recommend to everyone who wishes to learn the secrets to personal wealth. The Money Book For The Young, Fabulous & Broke by Suze Orman: An excellent book on money matters for those in their 20s and 30s. One Up On Wall Street by Peter Lynch: With more an one million copies sold, the legendary mutual-fund manager Peter Lynch explains the advantages that average investors have over professionals, and provides excellent insight into how they can use this advantage to achieve financial success.